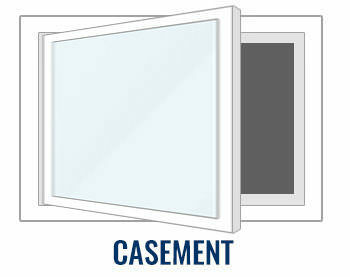 We have basement windows that can be used for new construction or replacements and are Energy Star rated. The sash and screen are inside the frame for one step installation. The great advantage to In-Swing Windows is that they swing into the home, so they cannot be impeded by any obstruction in your window well, like ice and snow. Also they do not subtract from the egress well square footage and compromise your ability to comply with local codes. 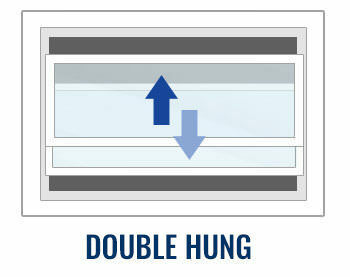 Our windows have a full and nominal 8″ frame depth that provides a fast, hassle free installation. The patented design allows the header, sill and jamb pieces to be removed, reversed, and replaced to easily adapt the installation to any situation. Sashes are easily removable when not locked allowing a wide, clear opening to move material through during construction. 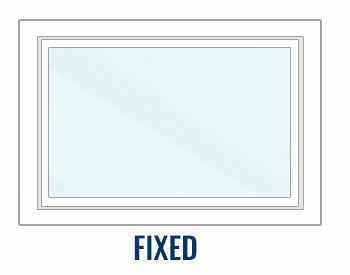 All Vinyl frame is maintenance free–No painting or rusting! *One sash opened in the normal inward operating position. Basement Slider Windows have sashes and frame that are weeped for superior water drainage to the outside. The half screen is removable from the inside. SW4848, SW5142, and SW6048 are Egress sizes. Have a leaky basement window? We’ll help you find the right basement window to fix your leaky basement window woes. Check out this before and after of one of our customer’s basement windows. They were having a ton of issues with water seeping in through the seams, their newly installed double slider basement window fixed their leak issue and helped waterproof their basement. When purchasing a Window Well Cover it is important for us to know the type of basement window your well has if the window is located above the well. Depending on the type of window, we will suggest different styles of covers to accommodate, if necessary, the window hinging open. 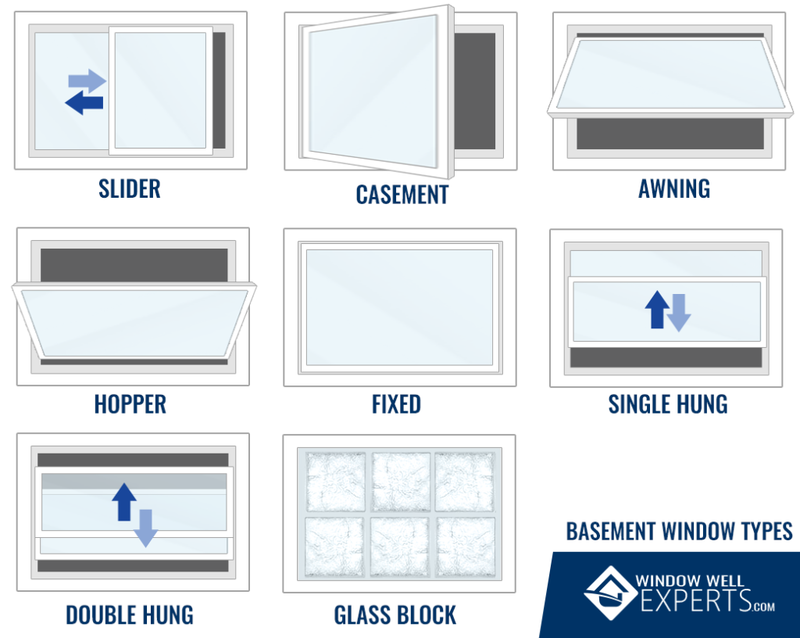 When filling out the free estimate form to get your cover, be sure to select the correct style of basement window to get an accurate quote and the perfect cover for your situation! Not sure what type of basement window you have? No worries, we’re here to help! Feel free to call us at 1-888-650-9355 or contact us online. 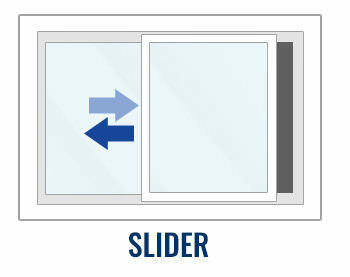 This is a very common style of basement window that slides open horizontally from either left or right. Depending on the size of this window, it could be used for emergency exit. 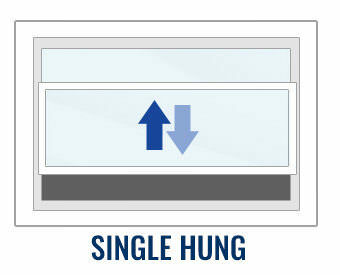 This is also known as a horizontal single-hung window. 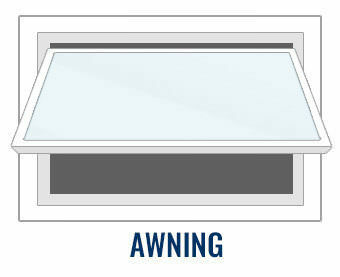 These basement windows come in either 1 panel or 2 panel designs and hinge from either the left or right of the window. Many windows of this style have a crank handle to easily open the window from the inside. This style of window hinges at the top and the window panel goes outward from the house. Perfect for allowing airflow into your basement with protection on a rainy day. 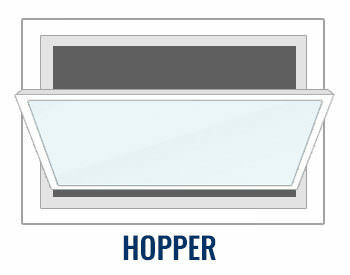 The Hopper Basement Window hinges at the bottom and typically hinges inward into the basement. Great for allowing a little extra airflow and light into the basement. Typically used for basement windows in bathrooms and showers, the Glass Block basement window allows light in with added security and privacy. This window does not open. This basement window does not open, hinge, or slide. 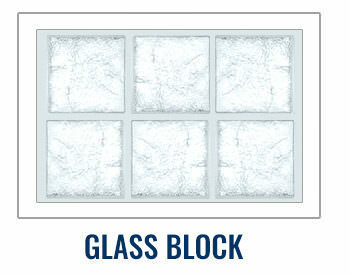 Like Glass Block Windows, it is fixed in place and does not allow for means of egress. Another very popular style of basement window is the Single Hung window. These windows have 2 panels, one is stationary, and the other slides up and down vertically. This basement window consists of 2 panels that both independently slide horizontally or vertically creating an opening on both sides of the window. Interested in our Basement Windows?